Produktinformationen "MARVEL SELECT AVENGERS 3 IRON SPIDER-MAN ACTIONFIGUR"
A Diamond Select Toys release! 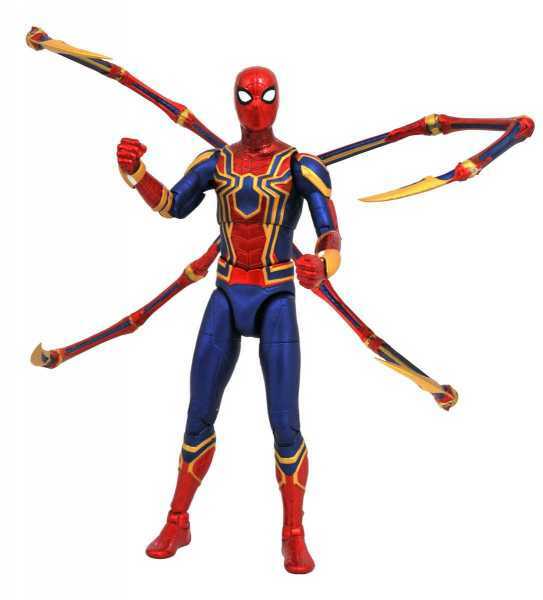 This 7-inch scale action figure of Spider-Man features his "Iron Spider" look from the movie, and features approximately 16 points of articulation and interchangeable parts and accessories. Packaged in the full-color, display-ready Select packaging, with side-panel artwork for shelf reference. Sculpted by Gentle Giant Studios! Weiterführende Links zu "MARVEL SELECT AVENGERS 3 IRON SPIDER-MAN ACTIONFIGUR"
Kundenbewertungen für "MARVEL SELECT AVENGERS 3 IRON SPIDER-MAN ACTIONFIGUR"